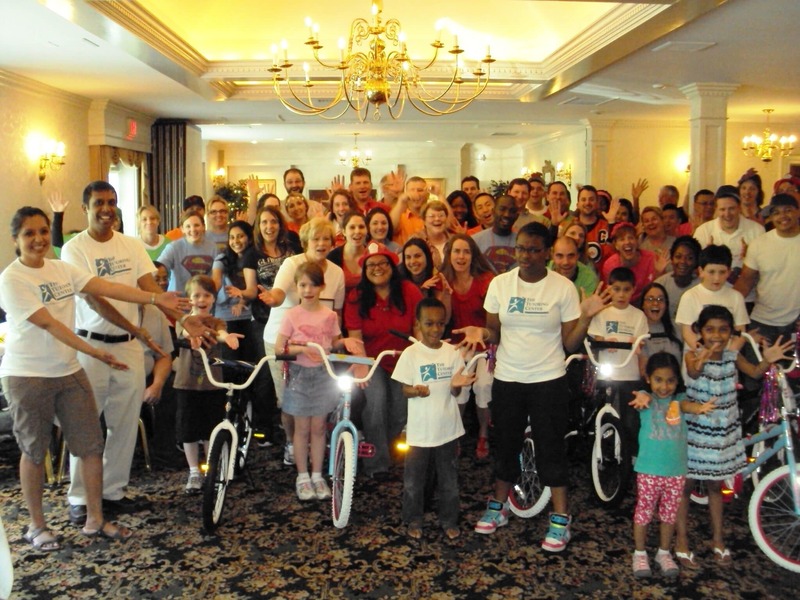 Over 50 employees Merck and Co., Inc., a leader in health care products (this group is responsible for a live bacteria measles vaccination) came together for a Build-A-Bike Team Building Event at the historic William Penn Inn in Gwynedd Pennsylvania near Philadelphia, to build and donate 8 bikes to children from the Tutoring Center in Lansdale. The event was a lot of fun and this progressive and innovated group of union supervisors and quality control engineers were very involved and participative in every aspect of the event. There was a lot of laughter, a lot of joking and even some learning as they joined teams and accomplished the tasks given. In the end the participants had fun and the Tutoring Center brought in the children that would be receiving the bikes. Amidst the fun and learning was a great feeling that an important contribution to children, their families and communities they live in had been made. Throughout the event there is opportunity for the groups to work together in their particular teams as well with other teams to complete the tasks and build the bikes. Often times the teams try to complete the job without help, but in this case the activities are designed so that to accomplish what needs to be done each team really needs to work with other teams. In the regular work-a-day world this is often the case. We get so busy doing our tasks that we suffer through it even though asking for help may be more expedient. We are reluctant to ask for help for many reasons and most of the time those reasons aren’t reasonable. Another common occurrence is that we have an answer or solution someone else may need, but we are reluctant to share because it might take time, or we feel threatened or, whatever reason. But the best thing for the company is for each team and each member to ask for help when needed and offer help when available. This was a great and innovative team from Merck that accomplished the tasks, had fun and worked very well together. The benefit was not only to them in completing the job, but in the great contribution to the children from The Tutoring Center. 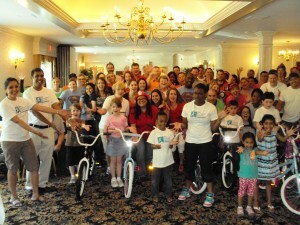 Thanks, Merck, for a great Build-A-Bike Team Building Event.